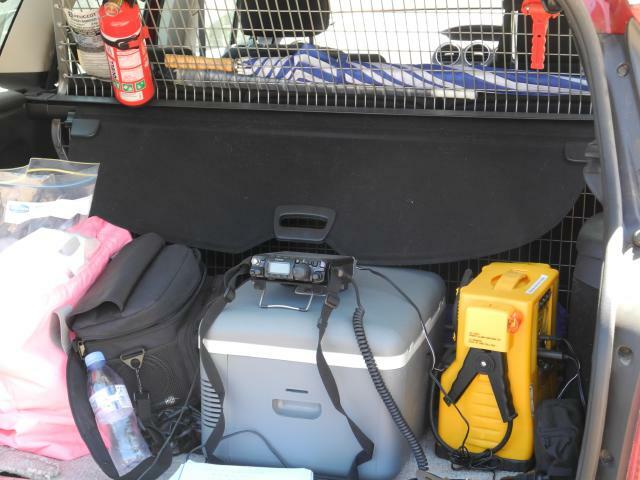 VK2JI – SOTA – Portable Chasing – St. Albans 29th. September. Many of us suffer from “Metro Noise” whether it’s interference from equipment in our own homes, the neighbour or the electrical wires running down the street, all of these can cause difficulties in “chasing” a remote QRP operator on a summit. 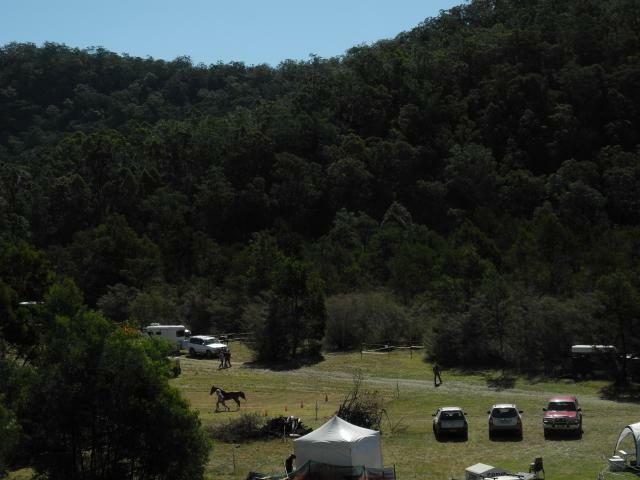 As I am a member of WICEN, I was asked to assist in an exercise where WICEN CNC (Central Coast) and helpers from other WICEN groups get together to provide safety checkpoints in a horse endurance trial around the village of St Albans in the Central Coast hinterland. There is ZERO cellphone coverage in this area and for the organisers to have commercial communications installed would not only create a cost for them but would also increase their staffing needs as, as well as providing communications we also act as the checkpoint, logging all horse/rider numbers coming through each checkpoint and validating that none have been lost between checkpoints. There are multiple rides taking place at the same time. Each ride of a different length with the top riders and horses taking part in two 40 km rides in the one day. So this is a good fit for WICEN as an exercise and provides safety without which the event simply could not take place. Manning a checkpoint is often very busy for short periods of time and then there is nothing to do for 45 minutes or an hour. 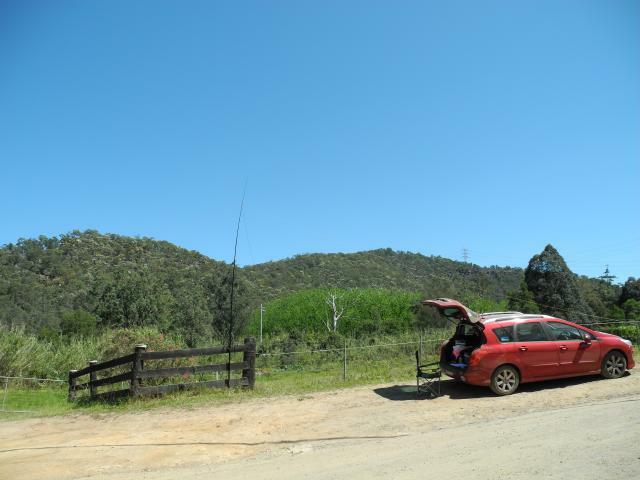 So I decided to take my SOTA gear along and as well as the 2m & 70cm systems for accessing our portable WICEN repeater I also took along the FT817, batteries, linked dipole and squiddy and set up and chased SOTA activators between logging horses through my checkpoint. Generally this worked fine with only a couple of times where I had to drop the 817 mike and grab my checklist for the horses. 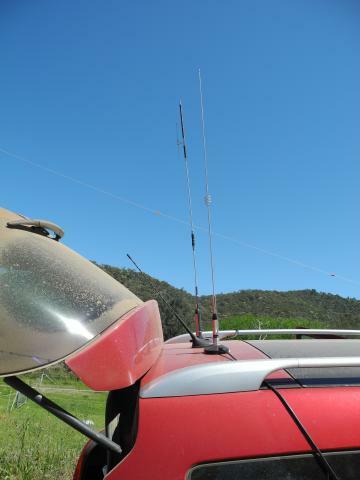 Here are a few photos from the set-up – note the 2/70cm and quad band (10/6/2/70) mag mount antennas on the car roof and the linked dipole in the background.